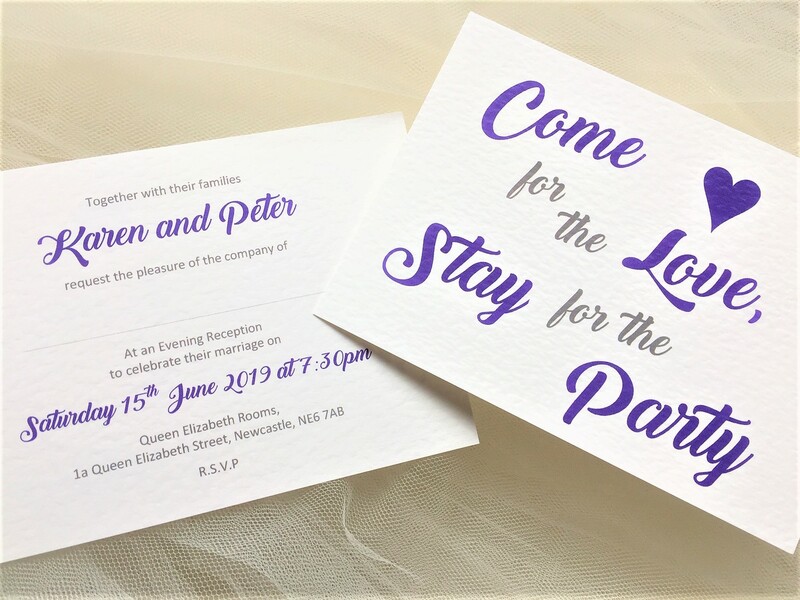 Invitations are printed on either a thick top quality heavy weight (270gsm) hammered card in white or ivory or a brown kraft card (280gsm). 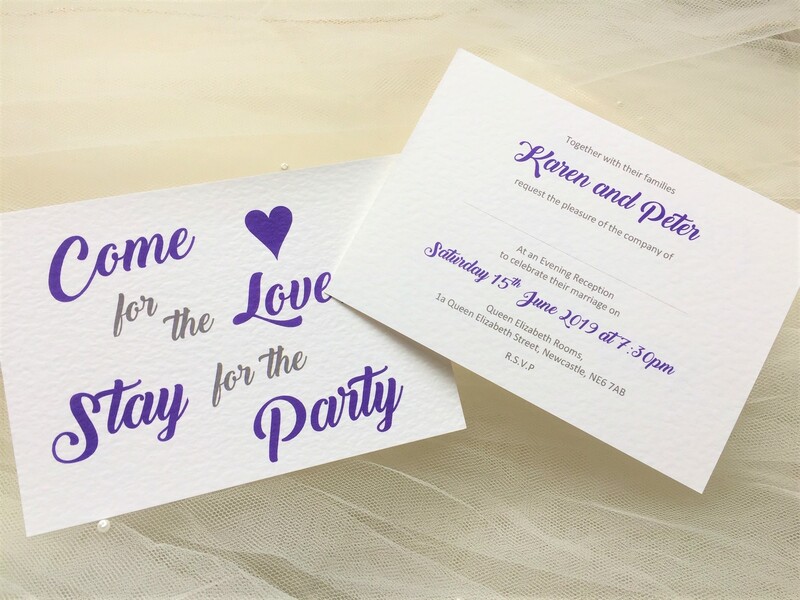 Price includes all personalised printing and a matching envelope. 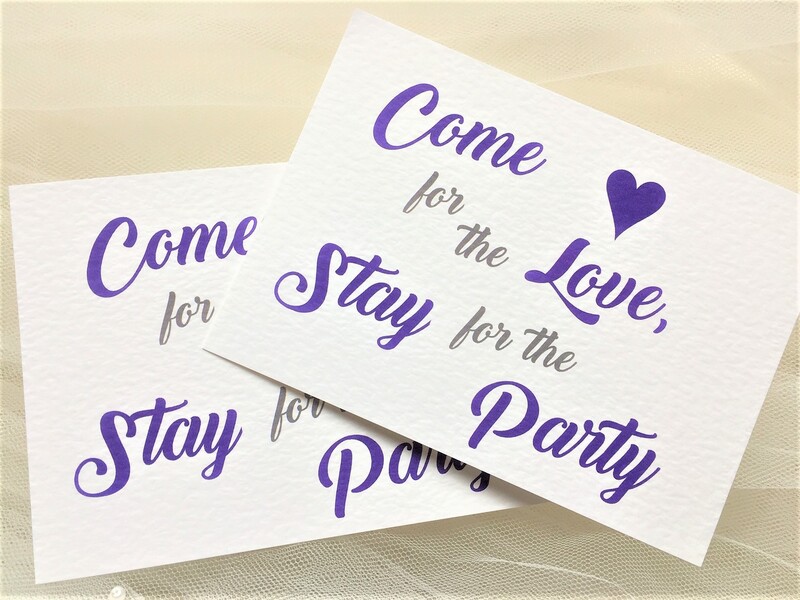 We can print in them in any colour to match a theme. 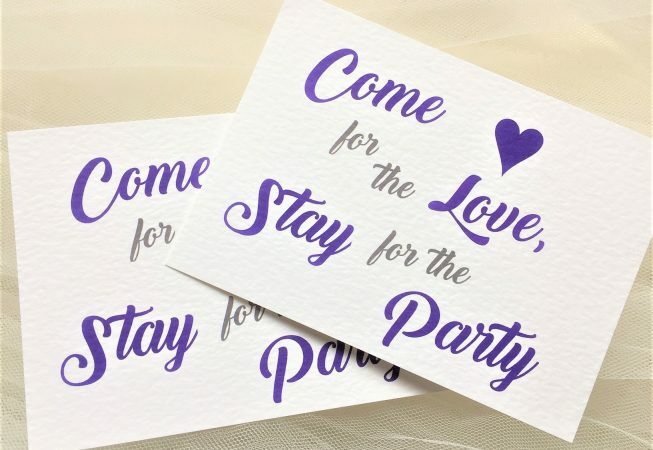 Perfect for evening reception invitations. Ordering is easy, just click through to the How to Order Page here. 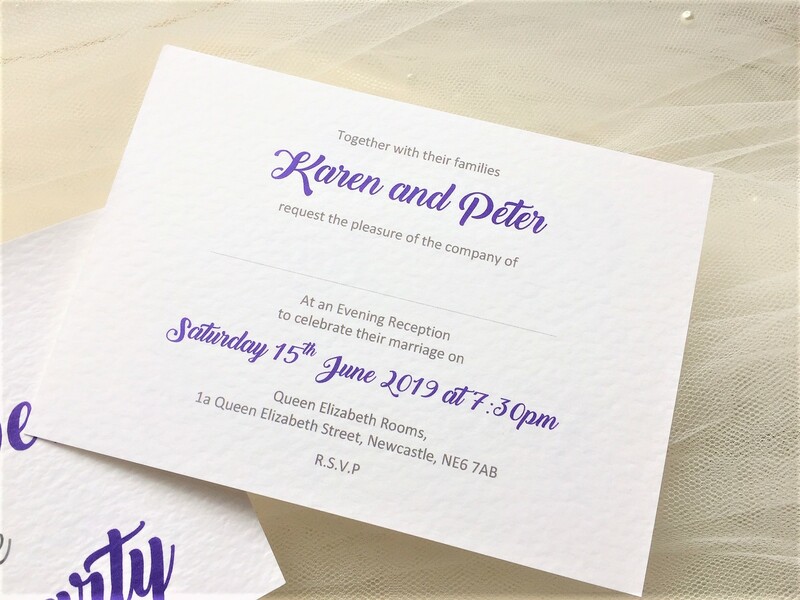 All personalised printing in a font of your choice.